Pasarel - High Quality English Sterling Silver Mounted Wood Pierced Photo / Picture Frame. High Quality English Sterling Silver Mounted Wood Pierced Photo / Picture Frame. Of rectangular shape, the silver frame is pierced and engraved with foliate ornaments. Black wooden reverse with an easel. The frame can be set either vertically or horizontally. 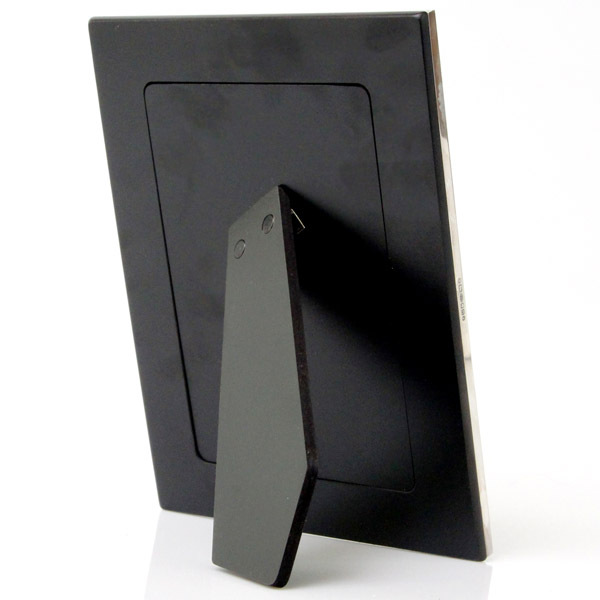 Can take a photo up to – 14.5cm X 9.5cm / 5.7in X 3.74in. 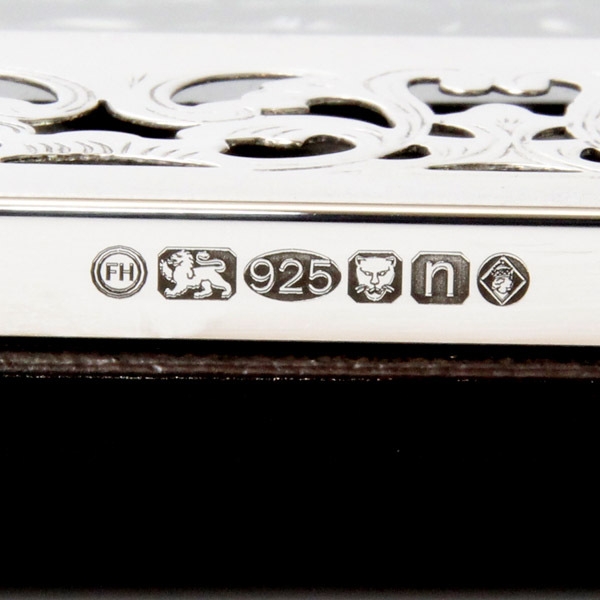 Fully hallmarked for London, England, dated 2012 and diamond jubilee mark, maker’s mark for Francis Howard. 20.5cm X 15.5cm / 8in X 6.1in.